Developers say while it took a chunk of change to get the project off the ground, it could end up saving money in the long run. The phrase has been tossed around a lot since the Cottages project was announced: “Dallas’ most expensive homeless.” What does that actually mean? Chad Baker has some insight. “We started with what the county called the ‘frequent fliers,’ so to speak when it comes to the ones being arrested and going to Parkland,” he says. Baker is assistant director at Central Dallas Community Development Corporation, the nonprofit developing the Cottages. The community is located just west of Fair Park. He says about 300 potential residents made the short list, a group of people currently costing taxpayers about $40,000 a year, per person. Here’s how you get to that number. “Some of the big ticket items are just a single ambulance ride can cost over $1,500,” he says. A trip to Parkland’s emergency room costs $2,500 more. A week in the hospital costs another $2,500. That’s $6,500 altogether. And getting arrested? Baker estimates that it costs law enforcement $400 just to take someone into custody. And it goes up from there. Which means a typical trip to jail adds up to about $2,000. Baker hopes the Cottages will make a lot of those arrests obsolete. “If you’re constantly being arrested for say sleeping in public or pan handling and things like that, if you now have a home to live in you would obviously not be arrested for those same types of offenses,” says Baker. It wasn’t inexpensive to buy the land, and build 50, small cottages— each measuring 339 square feet. Plus, there’s a laundromat and a services building. In all, the project costs about $5 million. John Greenan is executive director of the development group and says maintaining the homes, paying for insurance, utilities, taxes, a full time security staff and mental health services won’t come cheap either. “So we’re looking at somewhere probably between $12,500 and $15,000 per year per person,” Greenan says. But remember, that same person on the street costs about $40,000 each year. “So we’re looking at a savings -- we think we’ll realize over $25,000 per year,” he says. While it’s hard to argue with that math, Greenan says there’s more at stake here. And having a cottage means more than just walls and a roof. The case workers and psychiatrists on-site bring resources to people who desperately need support. 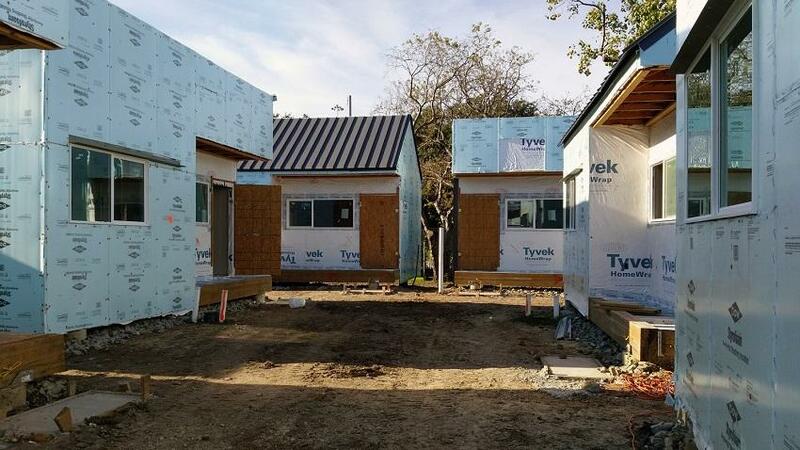 Organizers realize while this project is ambitious and exciting, 50 cottages for 50 people isn’t enough help all the city’s nearly 4,000 homeless people. And, Baker says, deciding who gets a cottage and who doesn’t can be a heart-wrenching emotional task. “It really is a hard decision because they are real people. The decisions that we make have effects on their lives, and it’s tough sometimes,” Baker says. And developers hope what started out as a tough process around a conference table will end up a bright new chapter for people who could really use four walls, a roof, access to social services -- and a lot more stability. Chronic homelessness can seem unsolvable. People bounce around from the street to jail to hospitals and back to the street. On Thursday, ground was broken on an $8 million effort to stop that cycle in southern Dallas. It's called the Cottages at Hickory Crossing. 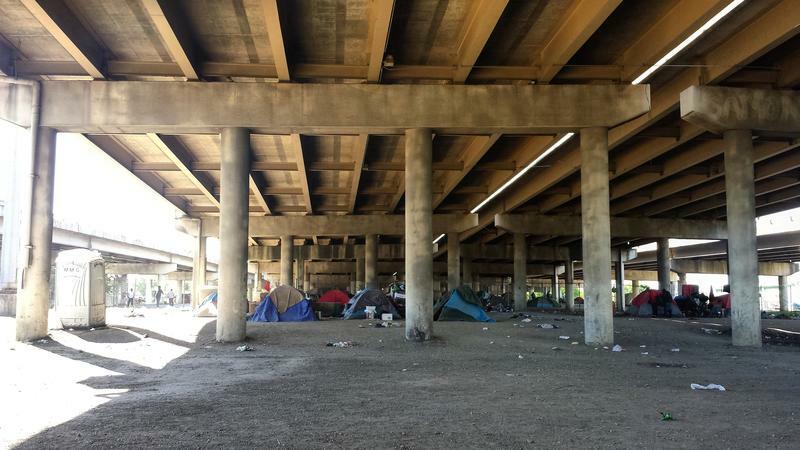 The city of Dallas has shut down Tent City, the homeless camp under Interstate 45 near downtown and Deep Ellum. Over the past few weeks, officials have helped hundreds of people move out. Caseworkers are helping homeless people prepare for life away from the highway underpass, but many of them face an uncertain future. 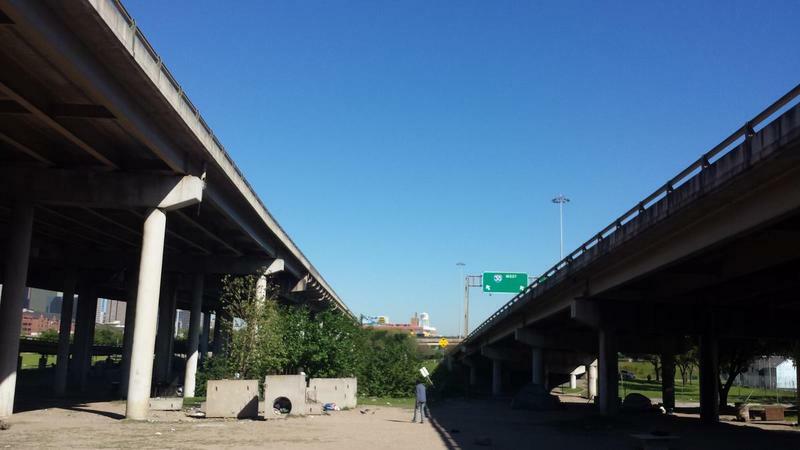 Dallas officials have shut down Tent City, the homeless encampment under I-45 near downtown. The nearly 300 tents are gone, the trash and debris have been cleared, and the city has fenced off the area. It's a bit quieter now than it was months ago.